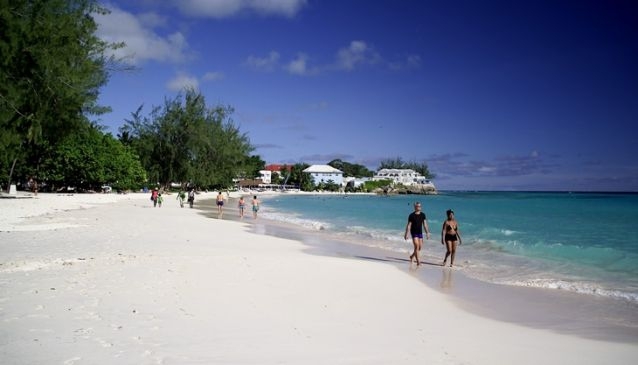 It is a very popular picnic spot with Barbadians because of the excellent public facilities. 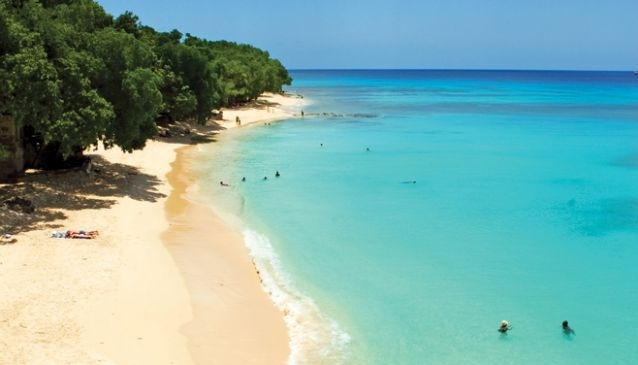 Miami Beach (also known as Enterprise Beach), is located near Oistins in the parish of Christ Church on the south coast - it has all the ingredients for a great picnic beach. Plenty of shade under the trees, parking, a very good beach canteen, chairs and umbrellas for rent, picnic tables and public facilities. One side of the beach has calm sea where you can sit and relax in the water and small children can swim and on the other there is deep sea with small waves. The canteen is called Mr. Delicious and some of their really delicious specialities include rum punch, fresh lemonade, salt fish cakes, fish cutters and hot afternoon tea. To get there drive east through Oistins, veer right off the main road at the fork, take the first major right turn, turn right at the black and white island and follow the road to the end. 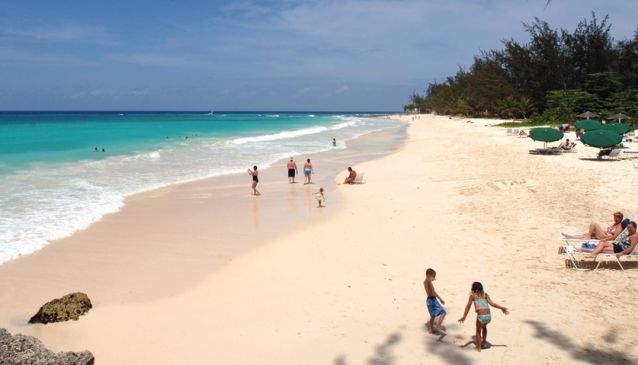 Accra Beach in Rockley on the south coast is probably the most popular beach on Barbados' south coast, and with good reason. There are plenty of food/drink stalls and restaurants around, all reasonably priced; chairs and umbrellas are available for rent, parking is easy and there is a convenience store just across the road at Quayside Centre. The lovely south coast boardwalk begins here and runs for a mile or so along the coast. The swimming towards the western end of this beach, by the boardwalk, can be very dangerous with unexpectedly strong currents. There are life guards on duty but visitors are advised to swim around the centre or eastern end of this beach. Other nearby restaurants include: Chefette (a local fast food chain serving delicious broasted chicken, rotis, pizzas, burgers, etc. as well as a good salad bar at their Barbeque Barn), Bert's Bar, Champers, Just Grillin', Café Sol Express and the new Tiki Bar at the eastern end of the beach. 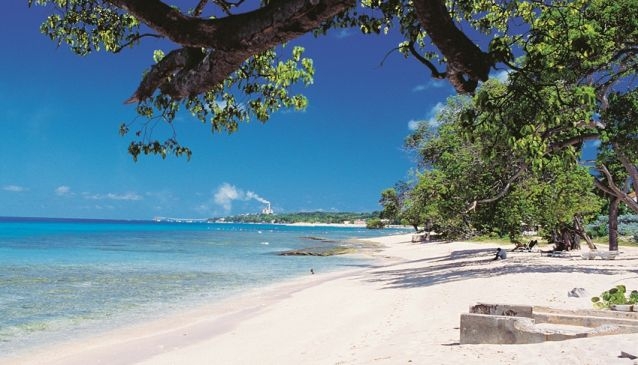 Heywoods Beach on the west coast, just north of Speightstown in St. Peter, is a beautiful quiet stretch of beach. 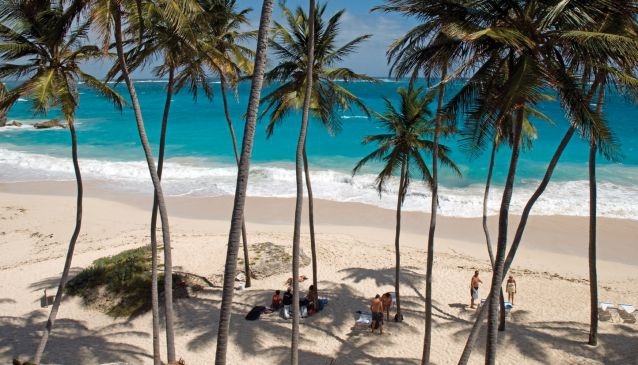 The west coast is at its best in the morning - as early as you can get there, because the afternoon sun streams on to Barbados' western coastline and the shade disappears. There are no facilities here so you have to bring everything you need. There are several places in Speightstown where you can pick up picnic supplies. The swimming is wonderful. The access road for this beach is between the former Almond Beach Village and Port St. Charles. 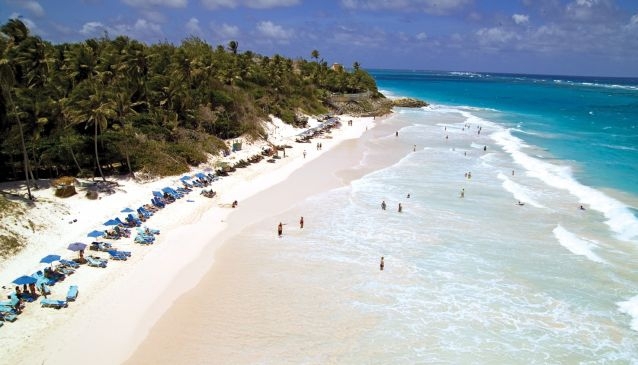 The south-east coast has some of the most beautiful beaches in Barbados but the Crane Beach is repeatedly listed as one of the best 10 beaches in the world. There is plenty of parking, chairs and umbrellas for rent and cold drinks sold on the beach. There is no shade apart from under the cliff at the western end of the beach in the afternoon so hiring an umbrella is essential unless you bring your own. Close by, Cutters and The Palms offer take-away and free delivery of food and drinks to the beach. One difficulty with the Crane Beach is the challenging nature of the public access. This is a short but precarious walk along paving stones placed on piles of uneven boulders. Once you take your time it's quite easy for most people but an elderly person could find it very difficult. One option for older folk is to park at the Crane Resort and come down to the beach using their excellent elevator. The Crane Village has a variety store where you can pick up picnic goodies. There are lifeguards on duty because the sea can be very dangerous sometimes. It is always advisable to stay within your depth at the Crane because of off shore currents but the swimming there is fun. It is a wonderful beach for boogie boarding. 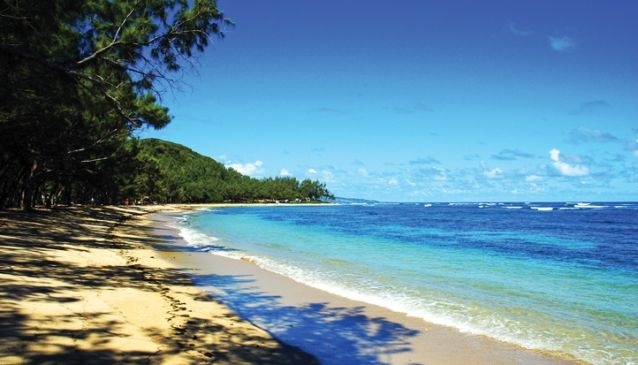 Also on the south-east coast is Bottom Bay, a picture perfect image of tropical paradise, used many times for films and weddings. There is shade, chairs and umbrellas for rent and sometimes refreshments on sale, including fresh green water coconuts from the surrounding trees. The swimming here is treacherous and there is no life guard on duty. The small carpark is lonely so visitors are advised not to leave valuables in the vehicles. The steps down to the beach are steep and numerous so heavy coolers and barbecues can be challenging. There is a track south across the pasture to the neighbouring Harrismith Beach which is also nice for picnics. Harrismith has a much smaller beach but calmer sea for swimming provided by a border of large rocks. Harrismith is easily located by a ruin of one of the "magnificent seven" seaside homes on this stretch of Barbados coastline from the eighteenth century on the cliff top there. 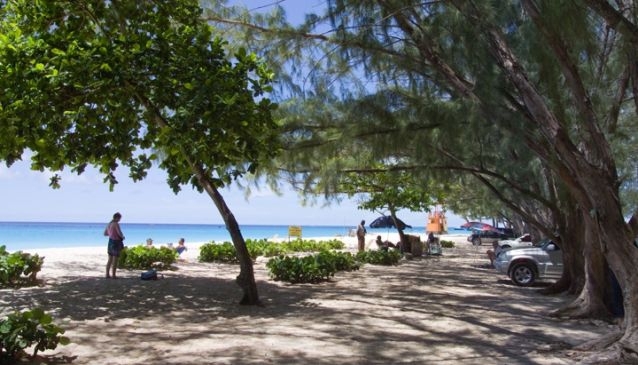 Maxwell Beach on the south coast is a popular picnic spot for residents in southern Barbados. The parking is close to the beach and the access is very easy so carrying coolers and chairs is easy. There is plenty of shade and space to spread out so this beach is often chosen for large picnics such as birthday parties. There are no public facilities or refreshments on sale. Drill Hall Beach on the south coast is a long stretch of beach behind the barracks of St. Ann's Fort, the headquarters of Barbados' Defence Force at Barbados' Historic Garrison. One access is to turn off Bay Street as though you were going to the Hilton hotel and turn left just before their entrance driving past the Barbados Military Cemetary. There are no public facilites or refreshments on sale here but on the way in you pass Cuz's Canteen, famous for his freshly prepared fish cutters. There are also no chairs or umbrellas for rent here but there is plenty of shade and picnic tables. Batts Rock Beach is a wonderful quiet west coast beach with plenty of shade, a large car park, public facilities and a small playground. The swimming is idyllic. The turning to the track that leads down to the beach is in a bend on the west coast's Highway 1, about 1/2 mile north of the roundabout between the ABC Highway and Spring Garden Highway. No refreshments on sale or chairs and umbrellas for rent. 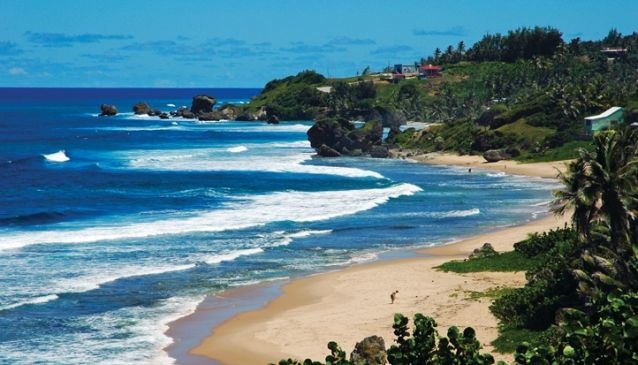 Bathsheba, on the east coast in the Scotland District, is one of the most picturesque places in Barbados. This seaside village has long been the place where Barbadians go for picnics and vacations in simple rental homes and small owner run guest houses. Today it is a world renowned surfing destination that the world's top surfers visit to enjoy the break in the "soup bowl" and "parlour", two of the bays within Bathsheba. It is in the parlour side that we recommend a picnic because there are picnic tables, public facilities, parking and shade. 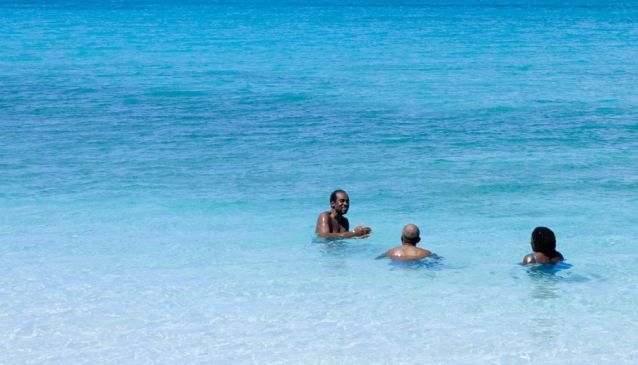 Swimming on the entire east coast of Barbados is very dangerous so be sure to exercise caution at all times. Bathsheba has some lovely rock pools where you can sit and at certain times you can enjoy a swim by the big rock in the middle of the beach. There is not a very wide expanse of sand but there is a wide lawn where you can base the picnic. This area is nice for walks with a foot path in either direction, one to Soup Bowl and the other to the small fishing harbour, Tent Bay. There are several establishments along here where you can buy food and drinks to picnic.